Happy Wednesday friends!!! Today I am linking up with Shay & Erika for How We Wednesdays. Some fun topics on "how we do" life... and today's topic is about planning Summer Vacations! And I have to say the thing I love most about Summer is no plans! So I probably won't have a ton of grand ideas in this post. We are kind of a laid back.... stay up late....sleep in later....and have all kinds of fun Summer family! Last Summer I worked full time, so they spent a lot of time with my parents. My mom was an elementary school teacher, so she does offer a pretty great Summer program for the kids. Ha! And they have a great pool and waterslide.... and the best snacks according to the kids! Seriously though, they have their Summer traditions with my parents and sister.... trips to the zoo, museums, movies, park, lots of swimming, and every year they take a trip downtown to visit my Aunt at work. They have had the best Summers at Camp Granny & Papa. As we start this Summer, I am not working so I am hoping to do some fun stuff with my kids! We just love Summer and try to soak up every second of it and we are lucky to do so by the water. Summer in Buffalo is beautiful, and we make plans to enjoy every minute of it. If you missed our other How We Wednesday, you can check them out here. 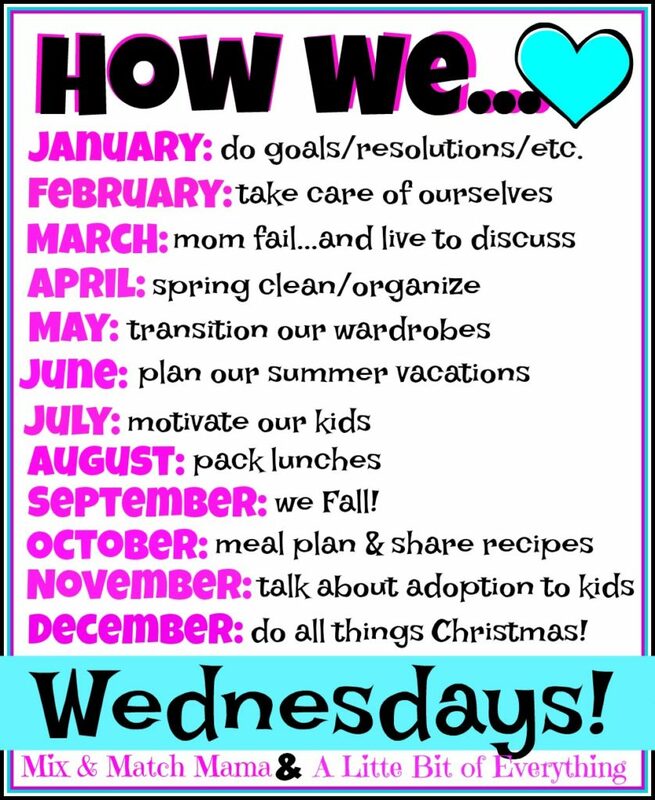 So be sure to check in the second Wednesday of each month for a little peek at "How We....." do life! And speaking of Summer plans, I shared my recipe for Key Lime Cupcakes yesterday. They are the perfect little Summer dessert! Laid ba k and tons of fun! It will. E an awesome summer! That sounds like a great summer! Thanks for the reminder to check out the Drive-In movies in my area.